Facial recognition has made it to mainstream use in security systems and is a relatively secure method of securing mobile devices. However, what happens when faces are obscured or hidden by clothing? Chinese government workers have come up with "gait recognition" software to fix that problem. Instead of recognizing people by their faces, the new gait software can identify human subjects based on their body shape and how they are walking. For those thinking they can try to walk differently to avoid identification, it apparently is not that easy according to Watrix, the business developing the technology. "Gait analysis can’t be fooled by simply limping, walking with splayed feet or hunching over, because we’re analyzing all the features of an entire body," says CEO Huang Yongzhen. 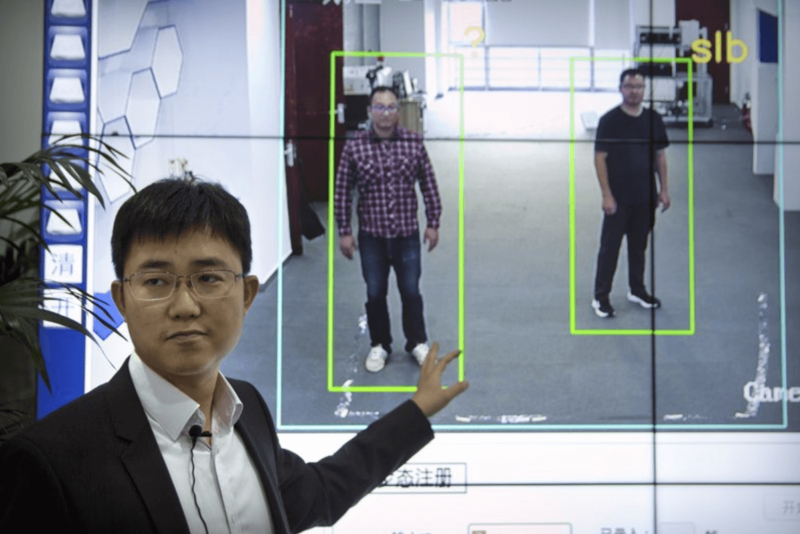 Unlike facial recognition that requires close up high resolution images, gait recognition is capable of identifying people from over 165 feet away without the subject ever directly facing a camera. Even with backs turned, the technology is said to be highly effective. One of the downsides to gait technology is that multiple sequential frames are required to processing. Points of reference can be applied to an initial image and then tracked across the next several frames. After an initial reference is created, a search for matching patterns can be performed. All of this takes significantly more processing power than facial recognition and cannot yet be performed in real-time. Currently, Watrix's software takes around 10 minutes to sift through an hour of video. Over time as optimizations are made and compute hardware improves, it will not be long before true real-time gait analysis is possible. Accuracy currently measures in around 94 percent, which for China is considered more than enough for commercial use. By contrast, facial recognition deployed in the US airports has an accuracy rating of nearly 99 percent. "Gait analysis can’t be fooled by simply limping, walking with splayed feet or hunching over"
Challenge accepted. China probably hasn't heard of the Ministry of Silly Walks, dedicated to combating this kind of invasive surveillance. MonsterZero, Lew Zealand, Reehahs and 2 others like this. Dimitrios and Reehahs like this. With Boston Dynamics robot that can run fast and jump over large objects and this makes me think the TERMINATOR will have it easy looking for certain people to kill lol. More quackery from the paranoid police state.